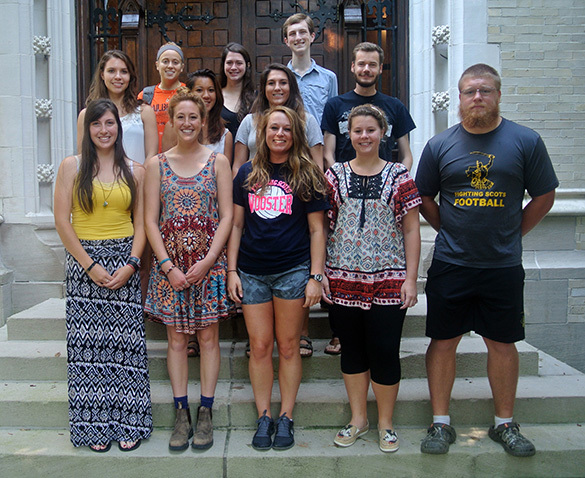 The Wooster Geology Department has started the 2015-2016 school year during beautiful late summer weather. 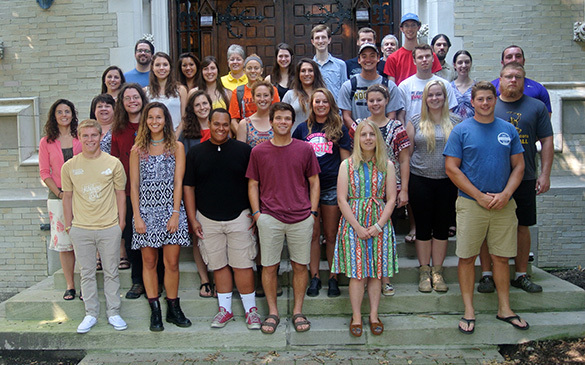 Above is the traditional first-of-the-year image of the Geology Club. Everybody is happy to be a geologist. 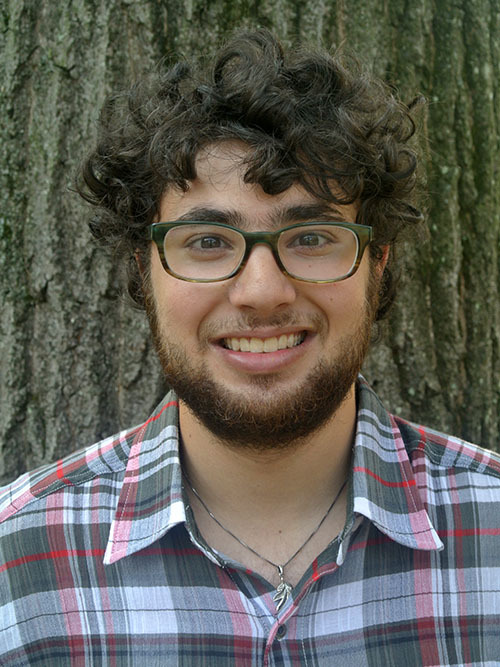 All of our seniors collected field and laboratory data for their Senior Independent Study projects over the summer, as you’ve read in this blog, and are already starting their analyses and writing. It is going to be a great IS year. One class has already been in the field. 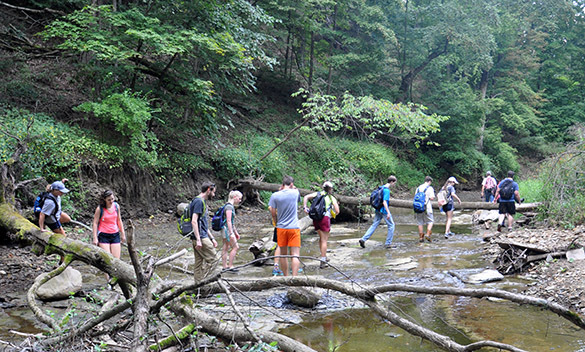 Here Greg Wiles is leading his Geomorphology students on an exploratory trek through Wooster Memorial Park. The first day of the Invertebrate Paleontology course. They’re smiling now, at least. 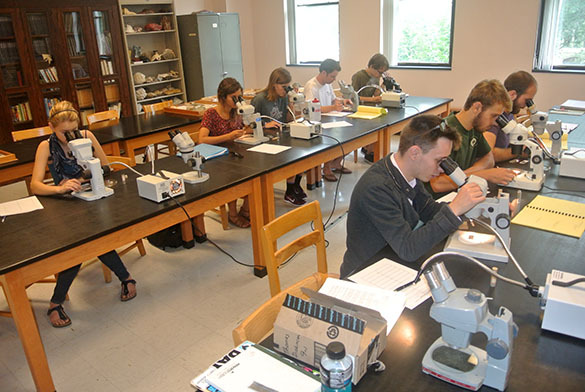 One of the first paleontology labs involves “picking” microfossils (mostly foraminiferans) from sediment samples. This is the Tuesday lab section hard at work. 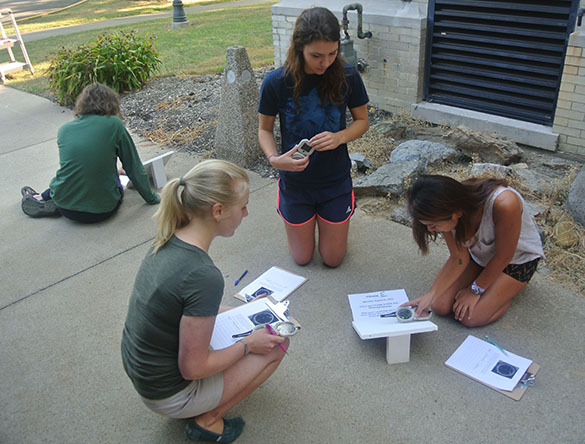 Shelley Judge’s Structural Geology course got outside in the first week to learn how to use the essential Brunton Compass. The students have a series of angled boards here as part of an exercise to improve their accuracy and measurement speed. I couldn’t get a good time to photograph Meagen Pollock’s Mineralogy lecture and lab, nor her large Geology of Natural Hazards class. 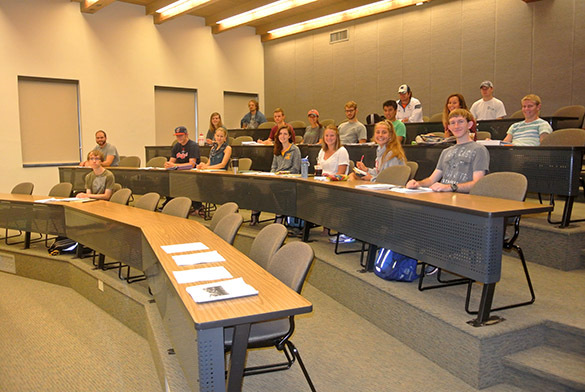 Shelley Judge is also teaching for the first time her new course titled “Geology of National Parks”. Greg Wiles is teaching a section of Environmental Geology, as is Caitlin Current. This year I’m the department’s contribution to teaching the First-Year Seminar course. My section is titled “Nonsense (and why it’s so popular)“. 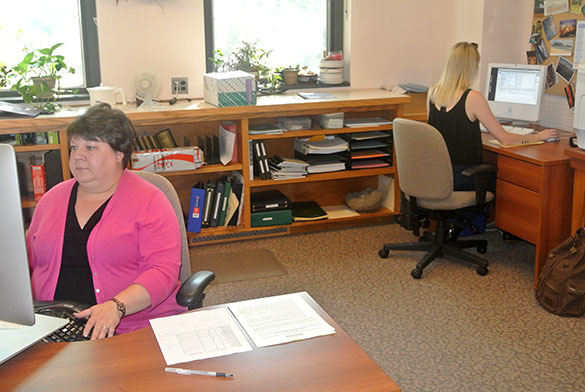 In the office we have our essential Administrative Coordinator Patrice Reeder (on the left), with her assistant this semester, Alexandra Gustafson (a senior Philosophy major). 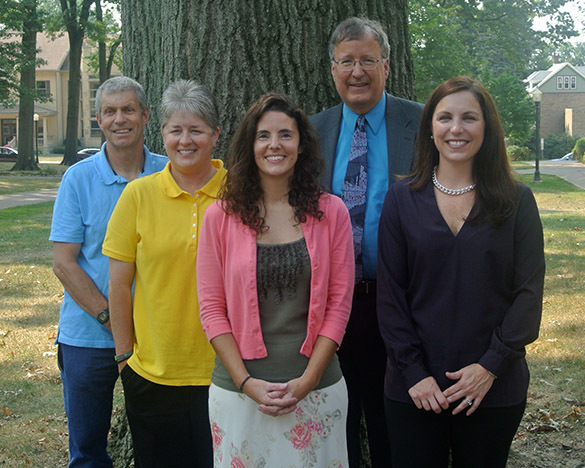 They manage both the Geology and Philosophy Departments, as well as the Pre-Law program. 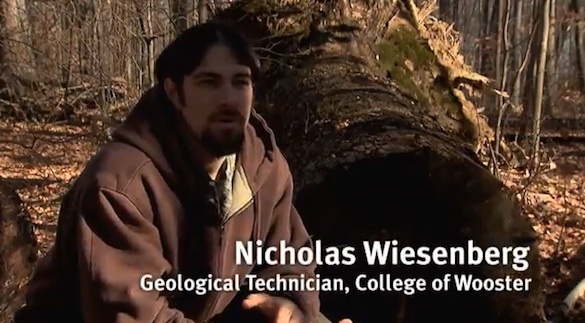 Throughout the building, and often in the field, we all benefit from the tremendous skills of our Geological Technician, Nick Wiesenberg. Here’s to another great year of geological education, research and outreach!